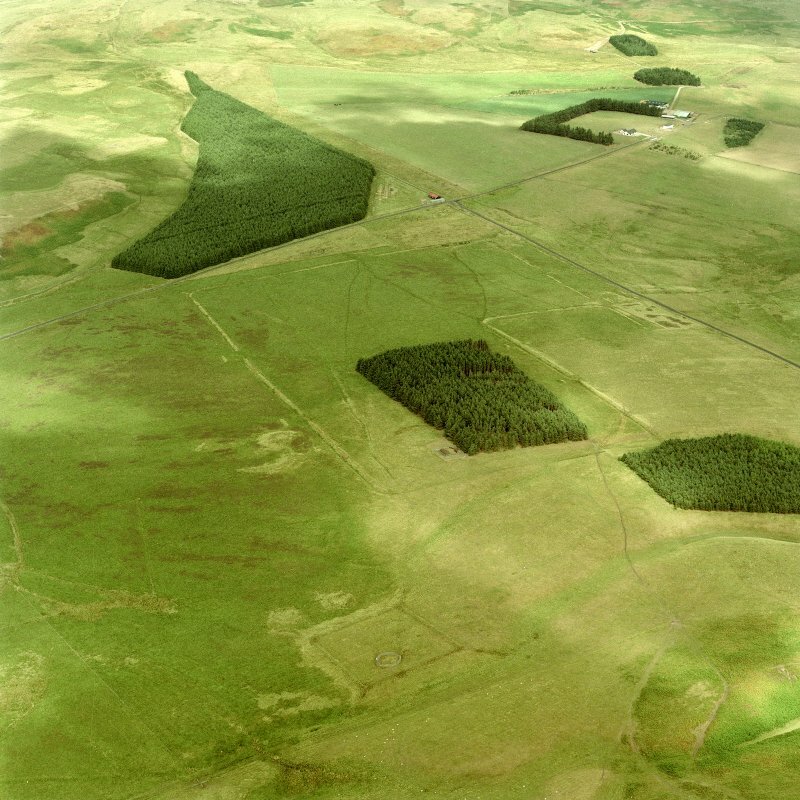 Pennymuir, oblique aerial view, taken from the SW, centred on Roman Temporary Camps, a linear earthwork and an area of rig. The course of 'Dere Street' is shown in the centre of the photograph. 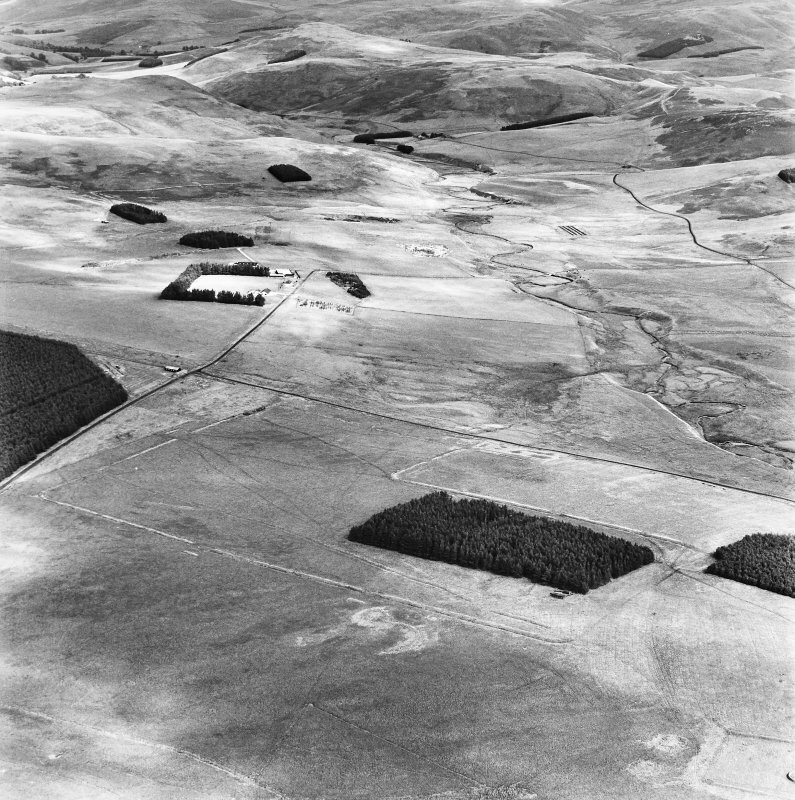 Pennymuir, oblique aerial view, taken from the WSW, centred Roman Temporary Camps, a linear earthwork and an area of rig. The course of 'Dere Street' is shown in the centre of the photograph. 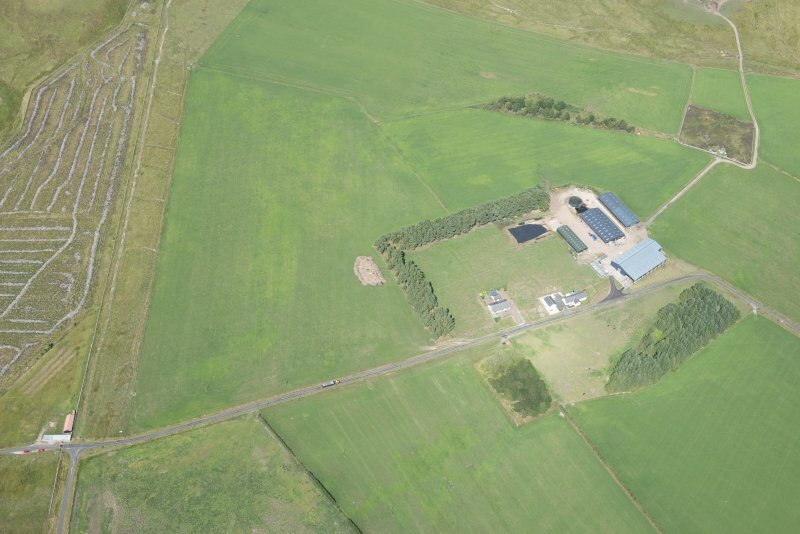 Oblique aerial view of Pennymuir, looking NE. 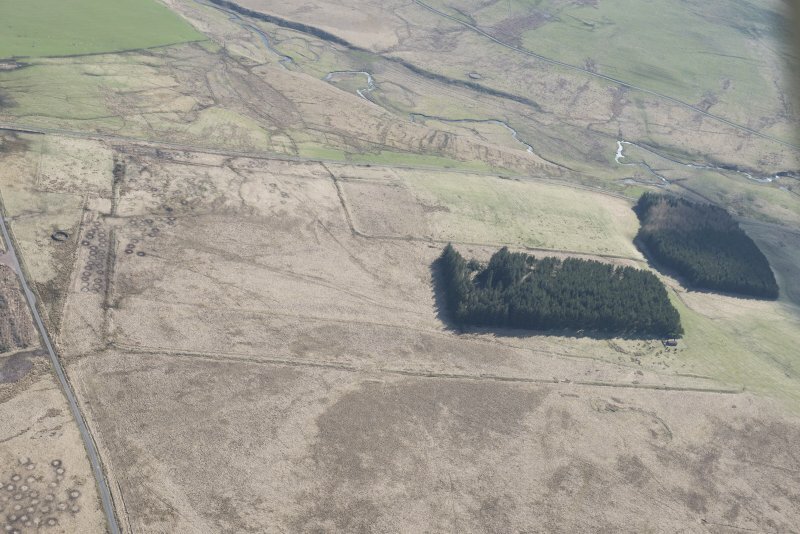 Pennymuir, oblique aerial view, taken from the SW, centred on Roman Temporary Camps and a linear earthwork. The course of 'Dere Street' is visible in the centre of the photograph. 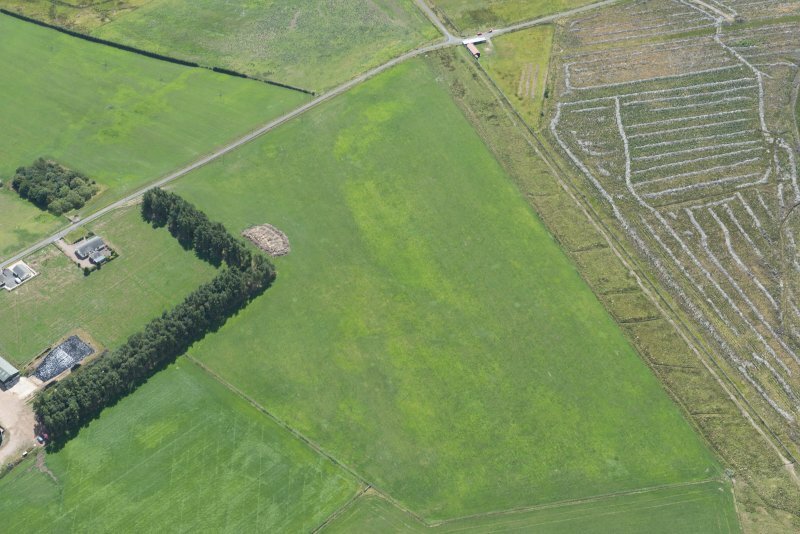 Pennymuir, oblique aerial view, taken from the NE, centred on Roman Temporary Camps, a linear earthwork and an area of rig. The course of 'Dere Street' is visible in the bottom half of the photograph. 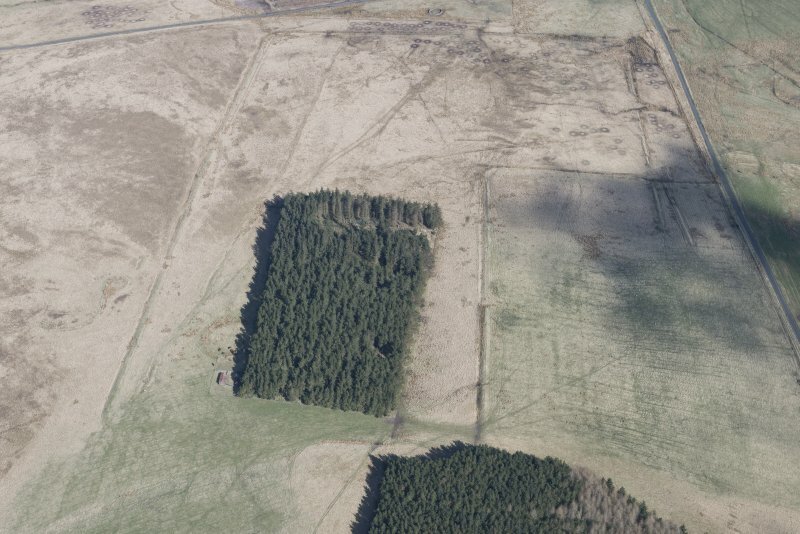 Pennymuir, oblique aerial view, taken from the SW, centred on Roman Temporary Camps, a linear earthwork and an area of rig. The course of 'Dere Street' is visible in the top right half of the photograph. Oblique aerial view of Pennymuir, looking E.
Oblique aerial view of Pennymuir, looking NNW. Camp C: lies to the N of A (NT71SE 5.01 and B (NT71SE 5.02), on the E side of Dere Street and astride the modern road from Pennymuir to Hownam. It occupies a southward-facing slope which is, for the most part, only gently inclined but which falls away sharply at the SE corner towards a marshy hollow. The departure from the normal rectangle in favour of a trapezoidal plan is not, however, conditioned by the ground, and must be due either to a misuse of sighting-lines or to reliance upon 10' rods only. The W side also exhibits minor irregularities due to errors in alignment. Internally the camp measures 910' by 640' alone the axes. The rampart can still be traced on the ground for the greater part of the W half of the circuit, but former cultivation has completely obliterated the E half. 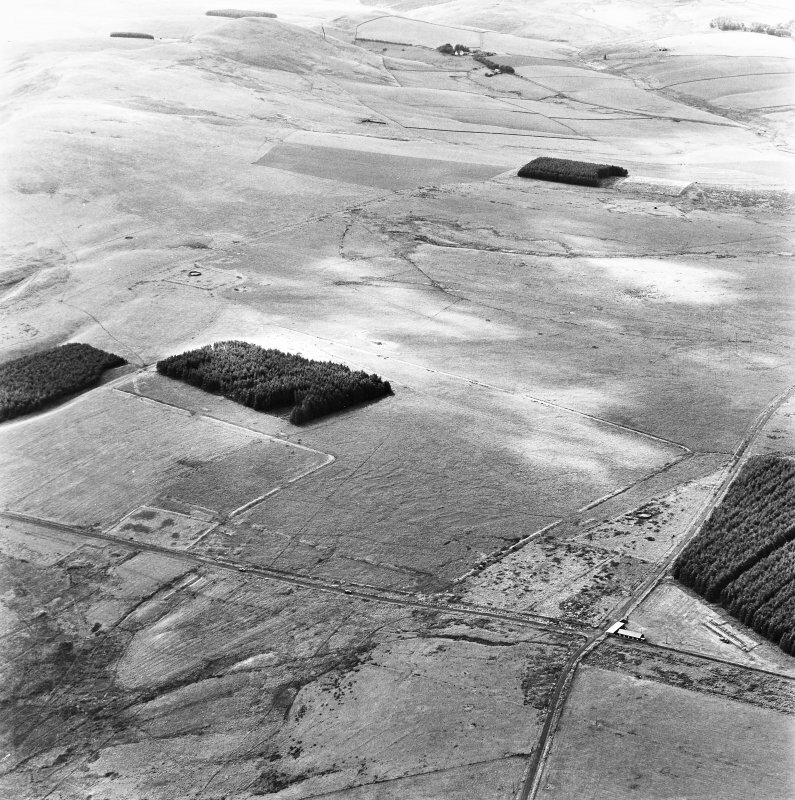 The approximate position of the N gate and the vegetation-mark of the ditch from the E side of this gate to the NE corner, and thence southwards as far as the modern road are revealed on an air photograph taken by Dr St Joseph (visible on air photographs ref:DJ 29); while the ploughed-down heel of the ditch was observed at Y on the plan in 1949 in a trench cut across the site by a mechanical drainer. South of the road the course of the ditch is preserved for a further 240' by a field-drain, but from this point to a little beyond the assumed position of the S gate there is no sign of the defences either on the ground or on the air photographs. The rampart and ditch of Camp C are of much smaller proportions than those of A and B. At X on the plan the drainage trench referred to above showed that the ditch, which was covered by 12" of peat, was 3'3" wide and 1'6" deep, including a drainage slot 5" wide, while the rampart, formed of mixed peat and sand from the ditch, was 7' wide and reduced to a height of 12". The only gate now visible on the ground is situated in the W side, 350' behind the S front: it is 21' wide, and is covered by a traverse whose slight surface indications were confirmed by a section cut by the late Sir W Aitchison in 1949. This gate was presumably matched by another in a corresponding position in the E side, while it may be inferred that the S gate, like that in the N side, was centrally situated. The positions of the gates show that the S gate was the porta praetoria, so that the camp will have faced S.
Centred NT 757 144. 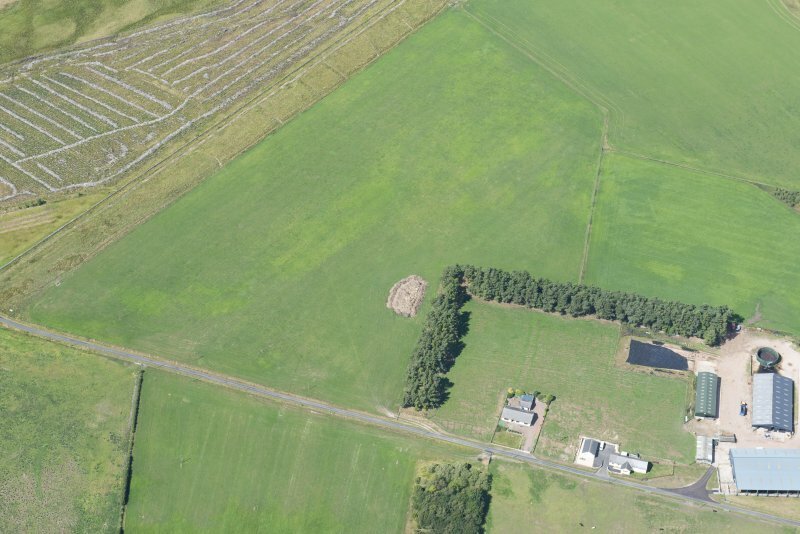 The only remaining part of Camp 'C' is its W side, S of the Pennymuir road, traceable for some 150.0m as a very slight turf bank (2.0m broad and 0.2m high); the SW angle; and part of the S side running from this angle for some 100.0m when it is lost in field drains. A field drain marks part of the E and S sides of the camp. N of the road the field is under crop, and no trace of the bank was found here except for a mere suggestion of its continuance on the W side immediately N of the road. The entrances were not apparent. Generally as described by previous authorities. Visited by OS (RD) 30 May 1968. Visited by OS (BS) 8 September 1976. This site was recorded as part of the Kale Water Survey project and is largely as described previously on the date of visit. Only the SW corner of the camp now remains in the form of an L-shaped section of bank on the E side of Dere Street. It measures about 130m from NNW to SSE, then turns to run ENE for a further 90m (from NT 75600 14378 to NT 75726 14303). 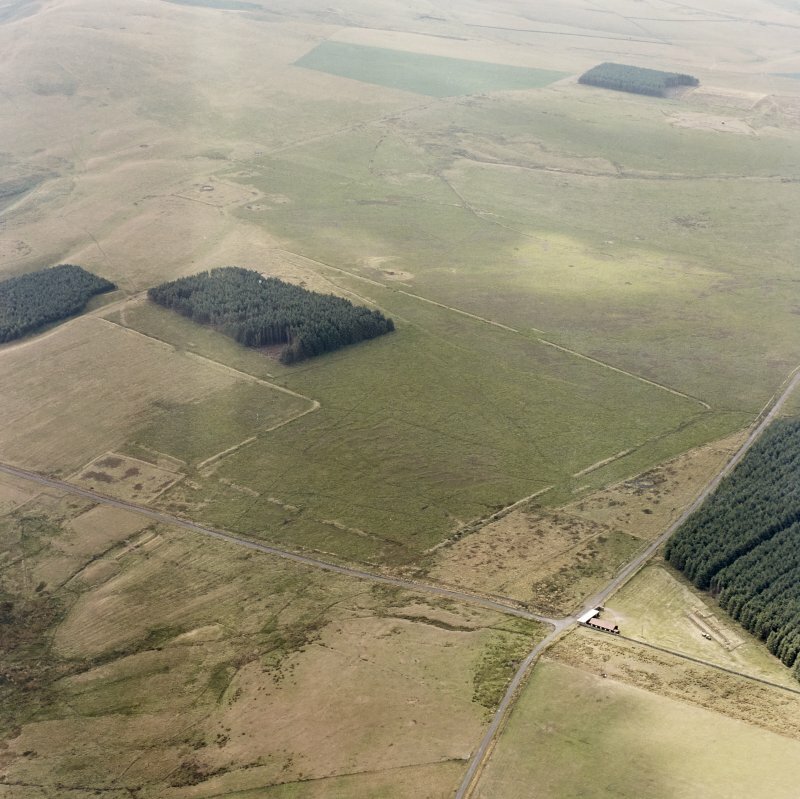 The three, possibly four, camps at Pennymuir lie on rough moorland in the Cheviot Hill beside Dere Street, close to its descent from Woden Law and on the north bank of the Kale Water. All four are recorded as earthworks in rough moorland, with camps I and II amongst the best preserved in Scotland. These two were first recorded in 1774 by William Roy (1793: Pl. XXII), with camp II occupying the south-east corner of camp I. The larger camp measures 520m from NNW to SSE by 343m transversely and enclosed almost 18ha (44 acres). Entrance gaps protected by tituli are visible on all four sides, with two on the WSW side, and the camp probably had six gates in total. The upstanding rampart of the camp measures up to 4.6m wide and 1.2m high, with the ditch some 4.6m wide and up to 1.2m deep in places. Camp II, which utilises part of the ESE and SSE sides of camp I, measures 299m from NNW to SSE by 129m, enclosing 3.9ha (9.7 acres). Its defences are of similar dimensions to camp I. Entrance gaps protected by tituli are visible on the WSW (two) and NNW sides, and the camp also probably had six in total. 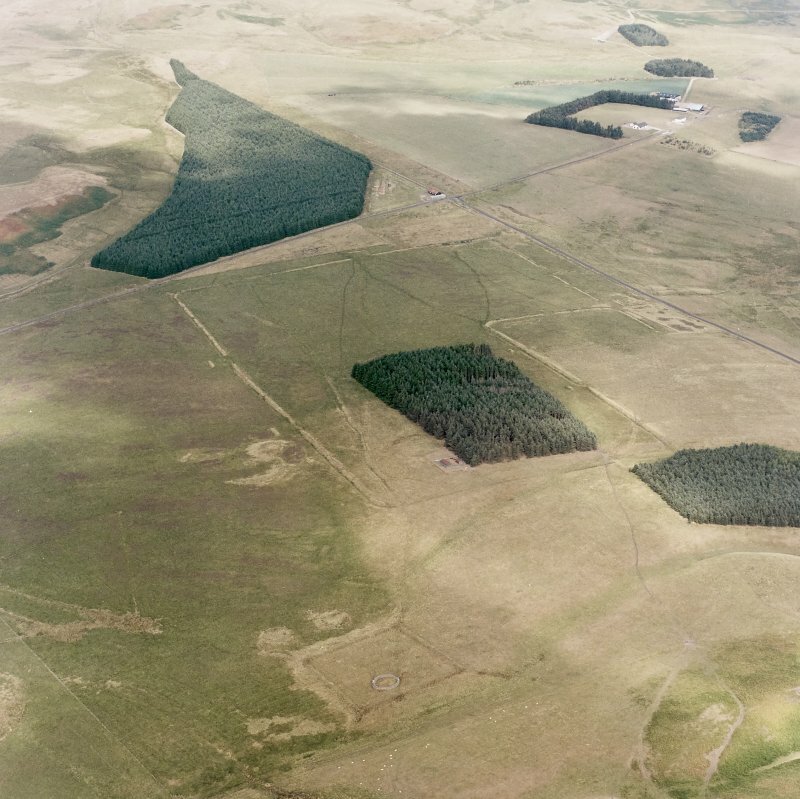 Detailed field survey by RCAHMS noted that the more northerly of the two gates in the south-west side had been narrowed, which they argued might represent a reoccupation of the camp in Roman times (1956: 376). 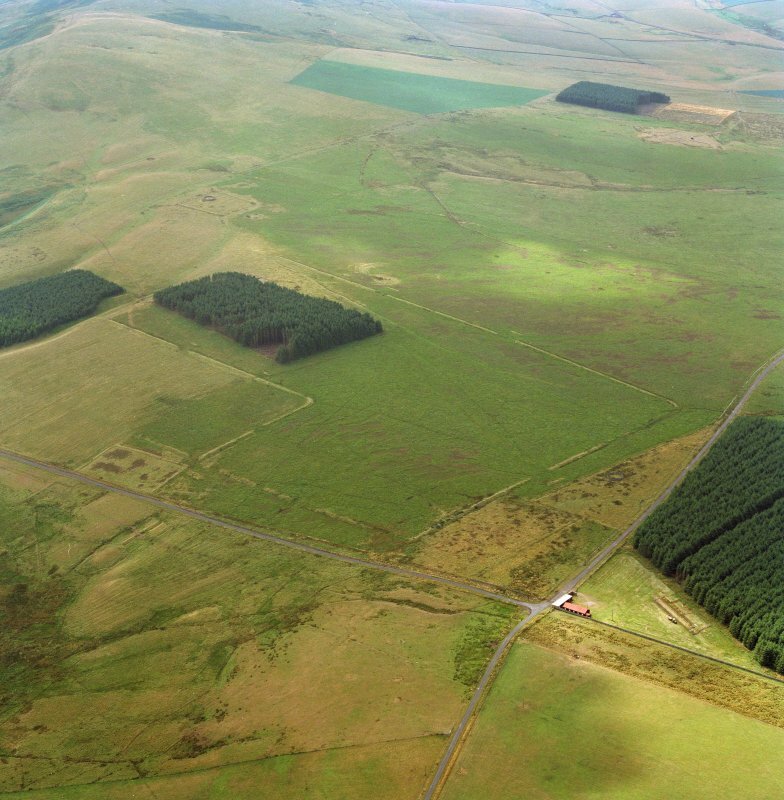 Camp III is situated just to the north-east of camps I and II , on the east side of Dere Street and, although recorded as an earthwork, has been partially obliterated by drainage and a plantation. It was recorded during scrutiny of RAF air photographs by RCAHMS in 1947 (Taylor 1948: 83; RCAHMS 1956: 375–7). 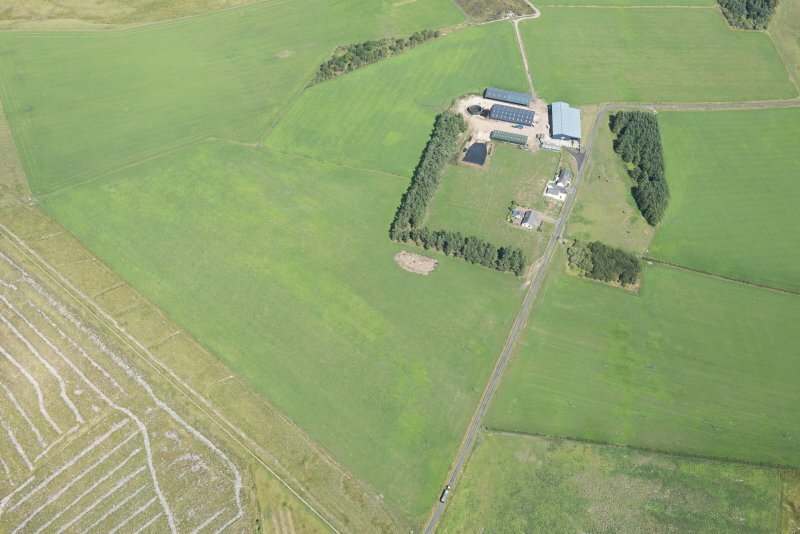 It is a parallelogram in form, measuring 279 from north-west to south-east by 186m, and enclosed 5.1ha (almost 13 acres). The rampart survives in places as a low mound, some 2m wide and 0.2m high. 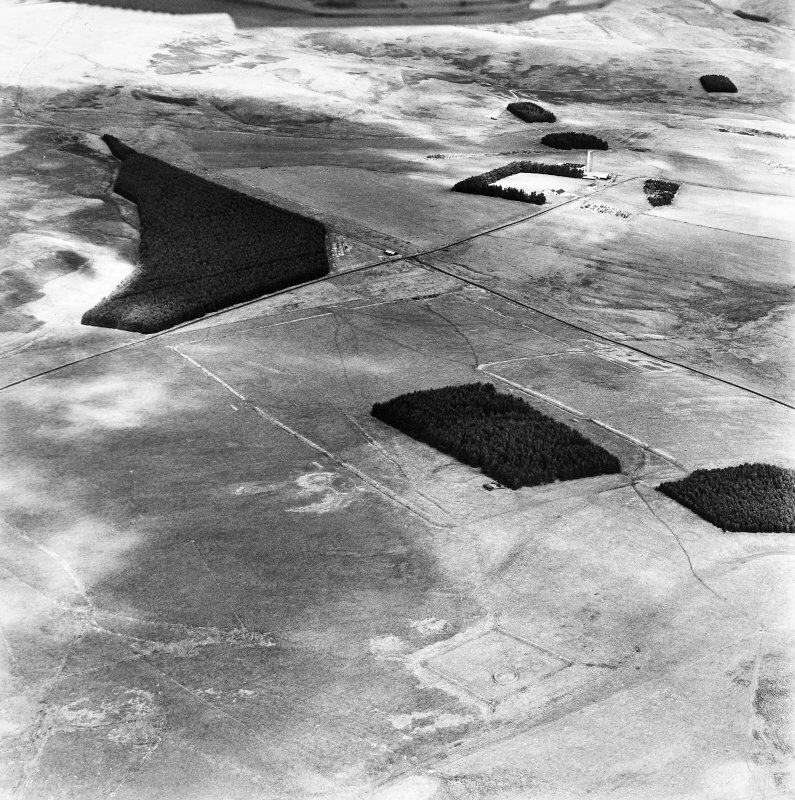 Drainage ditches observed in 1949 showed that the ditch was about 1m wide and up to 0.5m deep, while the rampart was 2.1m wide and 0.3m high (RCAHMS 1956: 375–7). Entrance gaps with tituli are visible in the northwest and south-west sides. A section was cut through the titulus on the south-west side in 1949 (by Sir W. Aitchison – RCAHMS 1956: 377) but no further information is available. 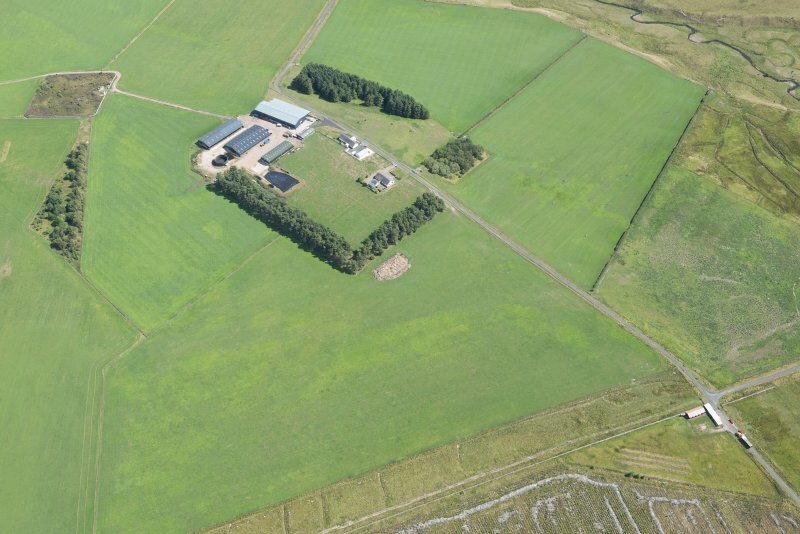 A probable fourth camp at Pennymuir was located during the study of the RAF air photographs (RCA HMS 1956: 375–7) lying on the east side of Dere Street across from camps I and II . 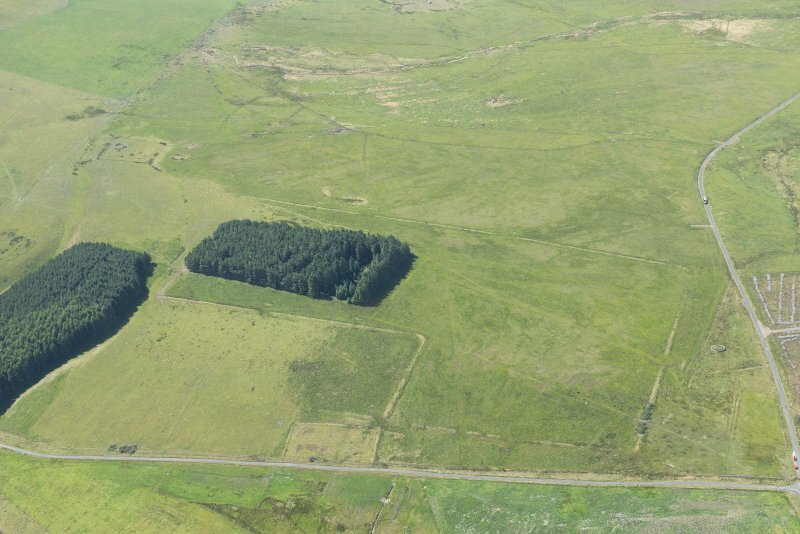 Only part of the camp has been recorded, measuring 192m from NNW to SSE by at least 120m, suggesting that at least 2.3ha (5.6 acres) was enclosed. The rampart is visible as a low spread mound, recorded in 1949 as measuring 4m wide and 0.3m high, with a ditch 3m wide and 0.3m deep outside (RCAHMS 1956, 377). 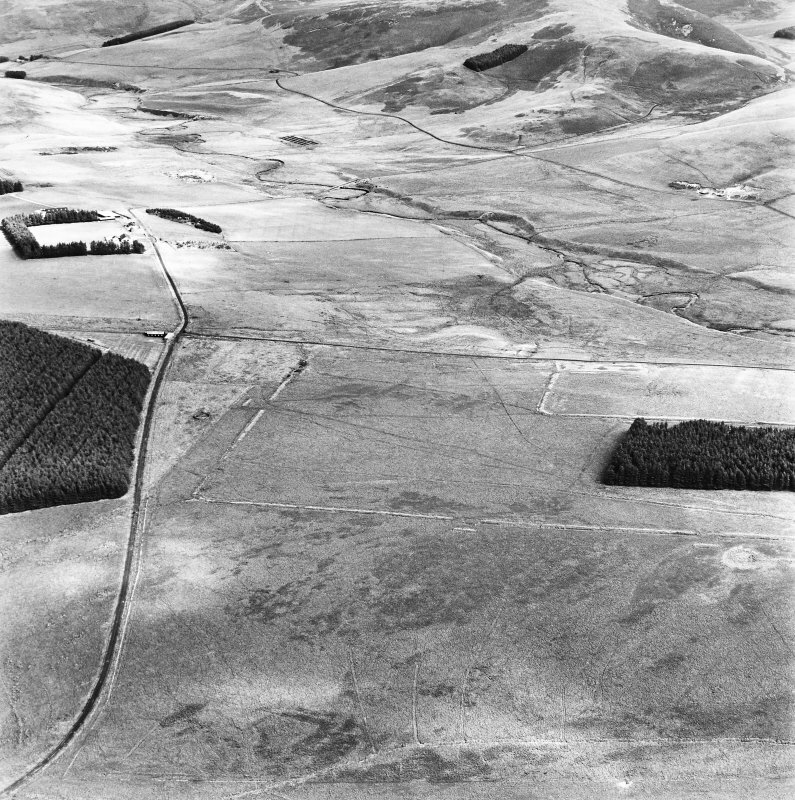 Cultivation remains and drainage ditches cut through the camp, and RCAHMS used this evidence and the dimensions of its perimeter defences to argue for a Roman date (1956: 377). A programme of landscape monitoring in conjunction with Scottish Natural Heritage and Historic Environment Scotland. 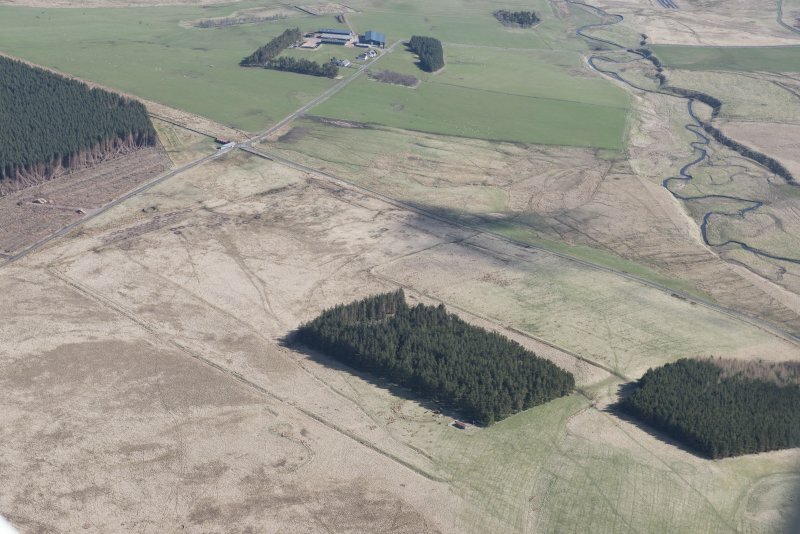 The monitoring comprises air photography of selected points across Scotland. The aim of the monitoring is to produce a set of case study locations that will be used to complement the monitoring of Land-use change being carried out as part of the Historic Land-use Assessment.